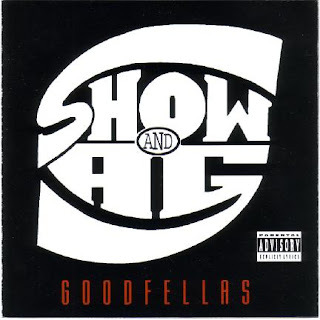 Goodfellas is the second album from underground Hip Hop duo Show & A.G., formerly known as Showbiz & A.G.. Released three years after their debut Runaway Slave, the album features a darker, grimier sound then their first release. Guest appearances come from Lord Finesse, D-Flow, Party Arty, Wali World, Method Man and Diamond D. The album features the underground hit "Next Level [Nyte Time Mix]", which was produced by DJ Premier and later featured on the movie 8 Mile. Producer Show, who made numerous rapping appearances on their debut, makes no rhyming appearances on this release.